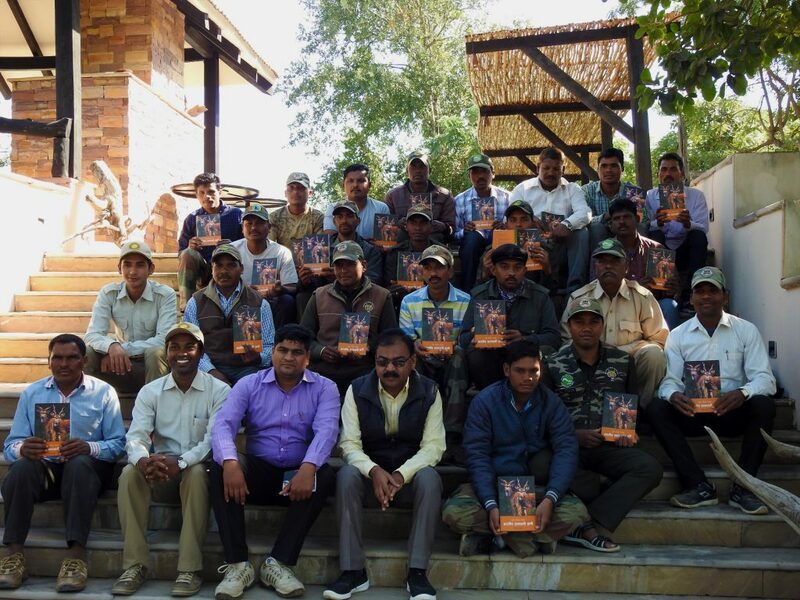 As a part of our outreach programme, our team at Denwa Backwater Escape distributed Hindi guide books on mammals to all the field guides of Satpura Tiger Reserve. 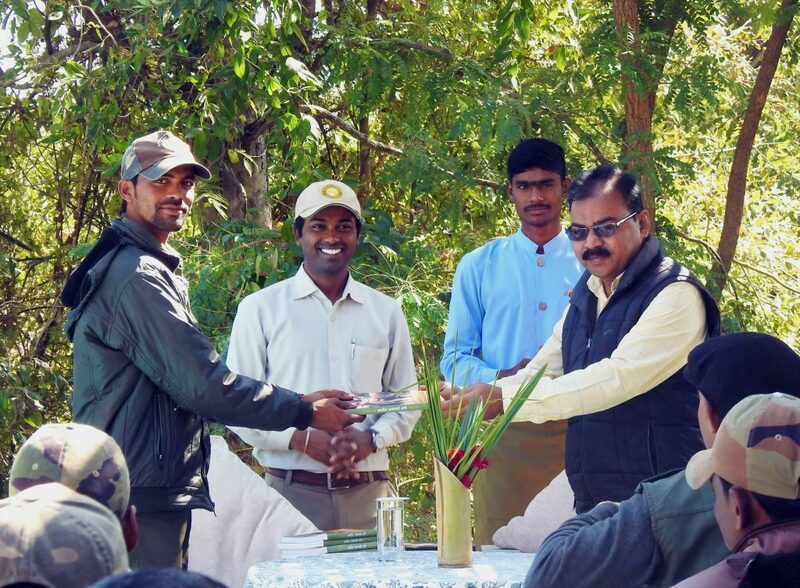 Shri Vijay Srivastava, SDO and Shri Mukesh Dudve, Ranger kindly felicitated and distributed the books on our behalf. Pugdundee’s vision is to work closely with local guides for capacity building as they are the front runner for conservation in parks. In October, many guides had also attended our naturalist training workshop to enhance their skills. Posted on December 17, 2016 by pugdundee blog. 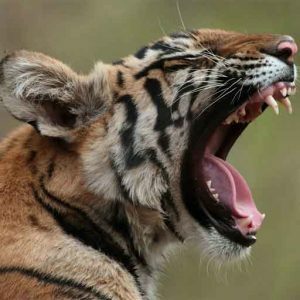 This entry was posted in Our Sustainability Journey and tagged satpura national park, satpura tiger reserve. Bookmark the permalink.